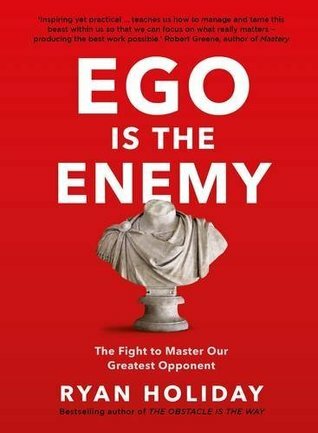 After reading The Obstacle is the Way, I decided to read this most recent work by Ryan Holiday. While the way some of the snippets of biographical histories have been used as examples could be challenged from their somewhat mono-cultural bent, and there were quite a few typographical errors which put me ill at ease, I still found this work helpful. Again, I marvel at the wisdom of somebody so young but the depth of reading by the author is obvious and this encourages me to look beyond the standard criticisms of formulaic success manuals with small historical snippets as supporting arguments. I particularly like the bibliography and I will request a copy of the extended reading list available from the author. But as part of my overall reading plan, I am glad that I took the time to read Holiday's work and I intend to read the rest very soon. Sign into Goodreads to see if any of your friends have read Ego is the Enemy.